I slacked off last week and didn't post. I apologize - it was our final week of school and it was a BUSY one! I've been wrapping things up and yet gearing up for some early summer PD sessions, too. I'm very excited to continue to share. My 2nd installment article was published for NationsClassroom late afternoon on Friday. This time I focused on using Google Sheets in conjunction with the formMule add-on. If you've not checked out this add-on, it provides a way for what I like to call "mass, personalized communication". I still smile every time I send out one of these emails ... I can email as many people as I'd like and yet make it feel like I took the time to compose each one individually. And don't think you have to be planning a trip to use formMule ... I used it ALL THE TIME in the classroom to contact all the parents on our team. It is A - MAZE - ING! I'd love if you took a minute to read the article here and as always, feel free to contact me if you have questions &/or need help with Sheets + formMule. Check out Nations Classroom if you are interested in planning a trip. Over a decade ago, a spunky 7th & 8th grade Social Studies teacher took on the daunting task of organizing and traveling with our school's 8th graders to Washington, DC. It was - & still is - a whopping success! Can you imagine taking over 150 students, roughly 30 parents, and about 20 teachers 800 miles to our nations capital?!?! I am honored to not only call her my colleague, but also my friend! Alyssa Bruck (@AlyssaBruck) coordinated this trip for many years on her own. I began helping her about 5 years ago and together we navigate the road to DC. She and I share the same nerdy love of history and we love sharing that love with our students. A parent told me once that her son had been looking forward to this trip since his kindergarten year! That is one successful trip. It's quite an organizational process ... and we 💖 all of it!!!! But we don't do it alone. Our good friend, Google, is there all along the way. I'm thrilled to announce I've written a series of articles for our tour company - NationsClassroom - and the first was published yesterday! It's the first in a series of how to utilize Google Apps to improve a school trip. I'd be honored if you took a few minutes and checked it out! This first article focuses on using Google to make the trip leaders life easier! Here's the link "6 Ways Google Can Make Planning Easier for a School Trip Leader". More to come!!! I'm also going to classify this as my #OneNewThing for this week because it's the first published article I've written. Feel free to contact me, too, if you have questions or if you need help! Have you wanted to encourage critical, 'out of the box' thinking, and independence, all while having fun doing an activity you do not need to prep for? 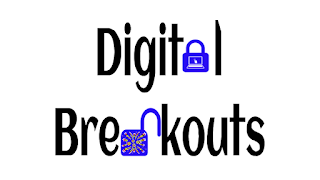 I have the answer ➙ a digital breakout! 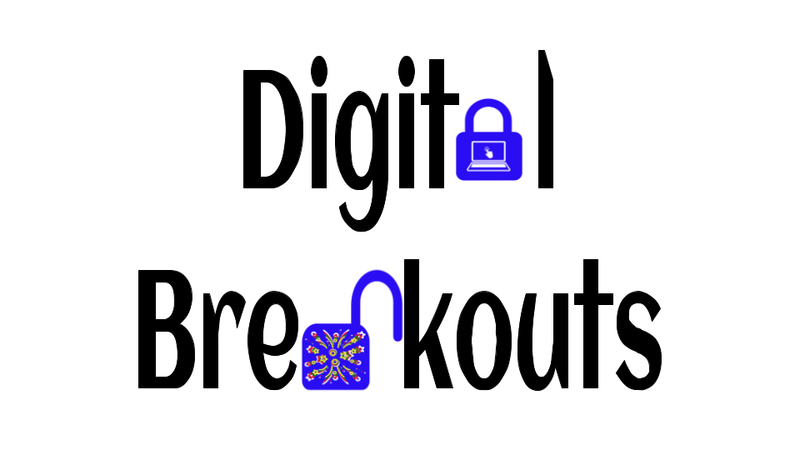 What's a DIGITAL BREAKOUT? Are you familiar with escape rooms? It's the same idea ... just digitally ... and the only time restraints are ones YOU impose. The beauty of these breakouts are students can work in groups or individually. You can have each group/team work on a specific "lock" and as a class, breakout. Or allow your students to select the breakout they'd like to work on. Then ... sit back & watch the critical thinking skills surface! ***Warning*** This WILL be challenging to some and extremely exciting for others. I keep an eye peeled for students who begin to express extreme frustration. I never want students to get to a point where they want to quit. You have to set the stage for this activity with the idea we are going to challenge their brains. I also have them brainstorm some collaboration tools they might want to try as well as ways to work through frustration. Remember, for some of our students, school is not challenging. They do really well! So when they experience frustration and/or failure, they give up far more easily than the rest of the students who have to work harder. I never stress the completion of a breakout. It would be ideal to breakout, but I value the process and the attempts and the desire to try FAR more than unlocking all the locks. Each time I've done one with students, I see the little "Aha! 's" and the natural turning and talking and the problem solving happen. And I couldn't be more thrilled!